Grace Chivell will team up with several leading experts from various industries to release the new book, “The Road to Success: Today's Leading Entrepreneurs and Professionals Reveal Their Step-By-Step Systems To Help You Achieve The Health, Wealth and Lifestyle You Deserve” by CelebrityPress®. Orlando, FL May 19, 2016 – Grace Chivell, Founder of the Success Coaching and Training Institute, has joined Jack Canfield, along with a select group of experts and professionals, to co-write the forthcoming book titled, The Road to Success: Today's Leading Entrepreneurs and Professionals Reveal Their Step-By-Step Systems To Help You Achieve The Health, Wealth and Lifestyle You Deserve. Nick Nanton, Esq., along with business partner, JW Dicks, Esq., the leading agents to Celebrity Experts® worldwide, recently signed a publishing deal with Grace to contribute her expertise to the book, which will be released under their CelebrityPress® imprint. Grace is a personal development coach and trainer servicing both individual and corporate clients to achieve their highest potential. She accumulated a substantial amount of knowledge of the banking industry over the course of her career. Here she researched her clients’ financial position on an ongoing basis so that the right decisions were made. She has always been available for her clients to ensure they achieve their wealth creation goals. Her fascination with numbers began at an early age when she attended a business and accounting course in high school. Grace was born in Adelaide, South Australia. Her parents migrated from Italy to Australia in 1954 to build a better life for themselves and her two sisters. Grace was born nine years later. Her family affectionately called her “The Kangaroo” of the family. Throughout her career she received many banking and finance achievements and acquired a total of 36 years of experience in the banking industry. For eighteen years, she served as a Bank Manager for various branches across Melbourne, Australia. 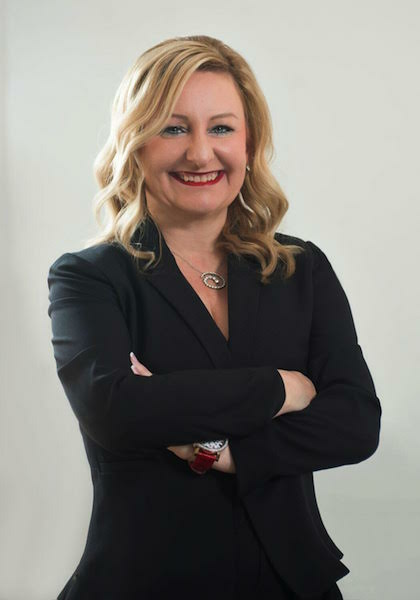 Grace’s career has always been centred on face-to-face interaction which she feels is the key to communicating and building great rapport and trust with her clients which has ensured her continual repeat business. Grace is a graduate of the Victoria University in Melbourne, where she majored in Business and Accounting. Due to her love for travelling the world, in 2015 she graduated from the Flight Centre Travel Academy majoring in Travel and Tourism and Events Management. Grace also enjoys volunteering at various Travel Expo and charity events throughout the year. Grace also has a successful online store selling various small and unusual products. The store is achieving great success due to her vast knowledge of search engine optimisation which empowers the site to receive as much traffic and conversions as possible. More recently Grace has been certified as a Jack Canfield Trainer. Grace is the Founder of the “Success Coaching and Training Institute” which will now also be focussed on teaching Jack’s principles for success. By combining her ability and knowledge of dealing with people of all cultures and behaviours, with her newly acquired knowledge from her training with Jack, she now holds additional tools to empower people to succeed and achieve their visions and goals, whether it is on an individual basis or in a group forum. Grace is a mother of three girls and grandmother to four grandsons.